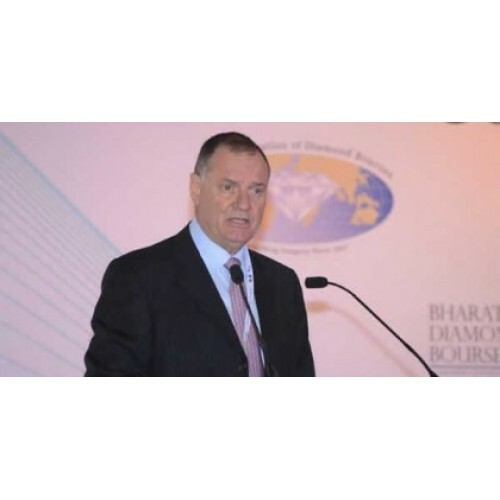 World Federation of Diamond Bourses (WFDB) President Ernie Blom says the diamond and jewelry industries appear to be heading for a strong end of the year according to import and export figures and other reports in recent weeks. India recently reported a 19-percent rise in exports in October in its latest results, while Belgium posted a 17-percent increase. Meanwhile, US retail industry research groups are predicting a rise in holiday season sales of around 5 percent. "The figures are looking upbeat," said Blom. "Exports of polished diamonds showed a significant increase in two of the most important centers – India and Belgium. Meanwhile, forecasts for the holiday season in the United States are very promising as a result of the strength of the US economy. And we saw record-breaking figures for consumer purchases on Black Friday and Cyber Monday last month. "In addition, in Hong Kong, sales of jewelry and other luxury goods came back strongly after the decline in September caused by Typhoon Mangkhut. And just this week we saw a report on a survey carried out last month by the Diamond Producers Association according to which more than 53 million US consumers intend to buy a diamond during the extended festive period from Thanksgiving to Valentine’s Day. These figures can give us great confidence as we end 2018 and approach the New Year.